A signature style is a set of sartorial preferences that are recognizably “your look” and consistently represented in your outfits. These preferences are what make your style distinctive. They amp up the PERSONAL in personal style, and make your outfits your own. A signature style can evolve over time, but might have elements that stay the same for most of your life. A signature style is not to be confused with a style rut. When you’re in a rut you’re bored and unhappy with your style and desperately want to change things up. The elements of a signature style are different. They continue to spark joy, so you keep them anchored in your look for a long period of time. Signature styles are diverse and individualistic. The elements can be bold and eye-catching, or subtle and discreet. A set of clothing silhouettes and design details, a specific range of colours and patterns, a type of shoe, necklace, pair of specs, earrings, handbag or bracelet, the colour of your lipstick or nail polish, can all become elements of a signature style. So can the way you wear your hair, the way you style your outfits, or combine colours. Your choice of wardrobe essentials can contribute quite significantly to your signature style too. And last, the overall vibe of your look tends to complete the integrity of your signature style. A signature style develops quite intuitively. Often it’s a case of building onto the same set of sartorial preferences organically over time until they become a strong part of your style. You can nurture a signature style so that it’s an overt part of your look, or you can keep things subtle. It’s all good as long as your signature style makes you happy. My clients’ signature styles run the gamut. Some clients only realize that elements of their style are “signature” when I’ve pointed them out, illustrating how intuitively a signature style can develop and grow over time. Others are extremely aware of their signature style and make a point of keeping it front and centre through every fashion cycle. And some clients work towards cultivating a stronger signature style after a bit of soul searching, patience, and trial and error. It might seem self-indulgent to think about and develop a signature style, but I don’t see it that way. I think about it as an exercise in learning and self-discovery. Style is a celebration of individuality that emanates from within, so the more you are in tune with yourself and your needs, the happier you will be with your signature style. 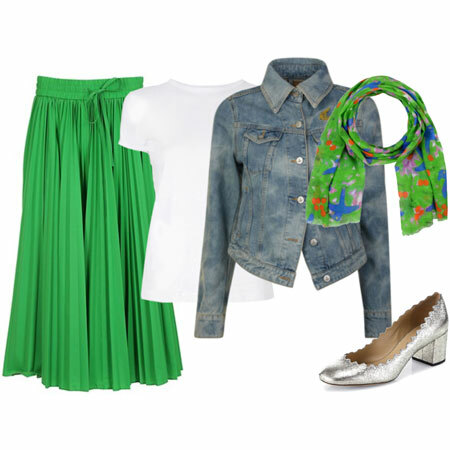 Identifying your signature style also helps you plan your wardrobe and shop for the right items. For example, if you know that certain items and vibes are signature to your look, there is little risk in duplication, and you know the items will make you happy in the long run. Short blonde hair and statement eyewear are probably the most distinctive parts about my style. White footwear, white jeans, white tops, solid items in sour brights, colourful clothing combinations, black turtlenecks, white pearl necklaces, lace dresses, gold watches, and denim jackets are the elements that I consider “signature” to my style. They anchor my look and make me happy. All of that is remixed with a strong desire to emulate a polished appearance, and create crisp outfits with ample structure that are soft and pretty. Over to you. Describe the elements that are signature to your style. If you’re unsure about your signature style, ask a friend, loved one, or post the question on our forum and we’ll get you started. You’ll probably be pleasantly surprised at the responses, and enjoy the assessment. I know my clients enjoy talking about their signature style. It gives them a good idea of where to focus when they shop and create outfits. This type of self-assessment can be confidence-boosting and fun. So go on, ladies. Tell me all about your signature styles. I would like to have a signature style, though not sure that I have a fully developed one, as I tend to get bored easily and thus try to stay on top of the current trends. 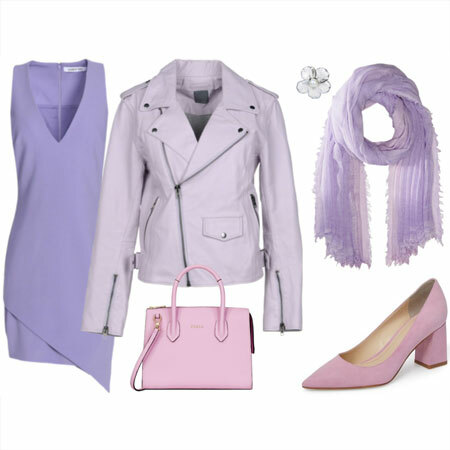 Nevertheless, there are some elements that will always be me: long straight dark blond hair, trendy jeans, moto jackets, interesting shoes, wrap ( and other waist defining) tops, cool colors – especially shades of purple, teal and blue, and general preference for very tailored waist defining clothes ( if my lifestyle allowed I would live in Roland Mouret designs). There are also some elements of designs that I always gravitate towards – like trousers with permanents pintucks down the front or tuxedo stripe on the side, even though I may not have many in my wardrobe at the moment. Thanks for writing this article! I’ve always worn classic, simple clothes in neutral colors. I hope my smile has been my most constant accessory! I have a very defined signature style. Most important elements the 5 B’s – Blazers, Bob, Black, Belts, Booties/Boots. I prefer the long over lean silhouette (long jackets over tunics/dresses with legging and booties/boots) for work with a clean, minimalist, formal, structured, dressy look. Blazers, Tunic/tunic dresses, leggings, skinny boyfriend jeans, crew neck knit shells, small/medium black saddle bag, geek chic specs are essentials. YLF helped me realize I only want to follow fashion to update my essential elements. You helped me make a conscious choice to follow and feel confident with my own preferences. That’s helped me make much better choices especially buying better luxe but less pieces. For that I am deeply appreciative. Food for thought! I don’t know if I have a signature style, this is another great element to work out as my style evolves. Oh yes this article is great Angie. Again i love the how and why and information content. I enjoy this look very much even I try to be subtle there is still a boldness in my look. My signature style includes stompy footwear, long over lean, black, hard edge, RATE, and asymmetry. I enjoy finding versions of trends that fit into my preferences. For example, I found my version of the gilet last fall. It is asymmetrical. I’m happy to enjoy most trends on others though. Wonderful post. I aim for a timeless, classic and understated look. My signature look consists of neutral bottoms or dresses. I consider denim a neutral. Generally single color or striped tops: cotton or linen in summer, and cashmere in winter. A great jacket. Booties. Excellent handbag. When I worked in public relations and appeared often in public or on camera, my signature look included that great jacket (I had more of them and they were more distinctive) and interesting jewelry: necklaces and airplane brooches in particular. Gave people something to look at, or look for when they wanted to find me. Very interesting post and responses! Love Gryffin’s comment! I am not sure about my signature style. I like classic but with a little something to it. I love jeans, classic and trendy, and stylish shoes that are comfortable. Yet, I don’t know if I have a signature style. Black used to be the main colour that I wore, but that is changing. I am moving into brights, particularly shades of blue, teal, white and red. I have long admired the signature styles of others. For years my natural hair color has been part of mine, but in this new-to-me environment most women let their hair be naturally grey, so it does not have the same impact. I’m searching for a signature and it is difficult with my eclectic tastes. Any suggestions? My long curly hair–it’s one of the first things people notice about me. My preference for boots/booties that lean more toward being stompy as opposed to being refined is also a signature. Colors such as blue and purple (in deeper tones as opposed to pastels) could be considered a signature too. Interesting jewelry, primarily in silver with stones ranging from moonstone to garnet to amethyst are a signature part of my look (my WIW photos are not well lit and so my jewelry doesn’t show up well, if at all, in them, unfortunately). I suspect that there’s more I could list, but this has been a helpful exercise to get me started. – When I wear pants, whether dress or casual pants or denim, I prefer a fitted look through the ankles combined with a less fitted top. – Black, gray, or silver. I sometimes will combine black or gray.with jewel tones. I wear browns and earthier colors less frequently. – Tall boots, whether to the knee or over the knee. I do not wear booties nearly as often as boots. When I do wear booties, I like them with pants. I never wear booties with dresses. – Makeup. I like an even complexion and I usually do my eye makeup. I almost always combine matte brown colors with a shimmery lid. I like the colors to be more neutral (not too warm, not too cool). I’ve been loving/wearing all these things for years and years; I think the thing about a signature style (for me at least) is that it reflects deep down what you love regardless of trends. My signature style is fun tennies/sneakers and jeans preferably boot cut or flared with waist surrendering knit tops. I also like color, pattern and bling. What an insightful article! I think I’m still evolving my signature style but there are some elements I’m already very happy with and that my friends say are my “style”. – my long layered lob, that I cut myself thanks to Youtube videos! I like having so much control over my hair (and my budget). – in my clothing style, “structure” dominates but I always throw in feminine details like a ruffle, a bold print or pattern, an asymmetrical hem, a knot, a touch of sparkle. So my outfits could be a pencil skirt with a statement sweater, a structured jacket over a boho blouse, a shirt dress with a flowy scarf, a suit with hyper-feminine flats, etc. -Colors: I gravitate towards greys, blacks, whites, dark reds, dark blues, mahogany brown, dark olive green, taupe, and blush or icy pinks. I realize now that I never wear purple, yellow, orange, beige, most greens, most of the “warm” shades and brights. They just don’t make me feel confident. I haven’t ruled out citron however, it’s a color I would love to experiment with! -my thick-rimmed glasses. I’m not “me” without them! -another “signature” of mine is that I prefer to be over-dressed than under-dressed. So you’ll typically find me wearing a dress and heels to a museum while others are happy in their jeans and t-shirts, or my lovely cable knit sweater to a mountain hike while others are in Nike sweatshirts. I just love wearing my favorite pieces wherever and whenever the occasion permits it. And people often compliment me for it, so it’s nice to see it brings a little happiness wherever I go. -And then I have some items I love and would like to use more but just haven’t gotten around to creating the right “look”: a black fedora, a maxi skirt, a certain pair of sunglasses, etc. I guess my silver hair would be part of my signature. Most women my age dye their hair so there aren’t that many with grey hair, especially as totally grey as mine. As to the rest, well, I don’t know. Silver shoes? Right now my hair is my strongest signature. I like experimenting with different things clothes wise, and actually am not sure if I have a signature beyond my hair – still thinking about it. Hmmmm. These are always challenging as I’m no good at seeing myself as others see me! Short hair (color changes too often to specify one, ha! but usually blonde or strawberry blonde) juxtaposed against soft clothes (think flow-y or ruffles) in cool shades (whites, blues, greens, purples). I am new to this site and am in awe of all you fashionistas! I will be searching and trying to identify a signature style. I have recently joined the gray haired set and it has turned my style upside down! But I am enjoying the journey…..stay tuned! I would describe my signature style as Neutral Edgy Boho…. Elements include: lots of bold jewelery, touches of lace and vintage feeling items, flowy silhouettes,comfortable denim, tonal outfits, layering, relaxed silhouettes, ethnic elements and natural elements. I enjoyed reading this, Angie, and you’ve made some very strong points that are worth saving and coming back to when one is feeling unsure about one’s direction ….. I do feel I have a signature look – and whether it needs updating or not is the big question. For me: short hair, makeup, jewellery , a bold, interesting coat or jacket, and the long-over-lean silhouette. It’s this last part that I would like to change up, but don’t feel that the current alternatives /options are meant for my body type. My signature style includes shoulder length or longer blonde hair. I usually have bangs and some layers. I don’t colour my hair so the colour has evolved over the years from strawberry blonde to golden blonde to I don’t know what to call it. I have always worn earth tones especially brown and olive green. I also adore orange but wear it in small doses. I wear a lot of denim. I live in blue jeans, denim jackets and denim shirts but never all together. I wear natural stone jewellery. I rarely wear precious stones except for my engagement ring. I have always gone for the no make up make up look. Overall I go for a natural relaxed look but I do like to have some structure. -always a red lips. I never go anywhere without a color on my lips since my lips are so pale. I’m not aware of a signature style, but I do gravitate toward items that are bit unusual in design. I’m trying to curb my inclination to fill my closet with statement pieces by sticking to a color palette of blue, black, white, and gray. I like comfortable, relaxed, quirky, and I sometimes think I’m a little bit tomboy/arty/edgy. I definitely have a signature style. My pixie haircut has been with me for 4 decades. The same with my thin bangle bracelets and a small face dainty watch. I have a well defined color palette that stays coherent through all seasons. I prefer clothing that is solid in color, soft in texture and low in contrast. I prefer light colors and also do not enjoy wearing anything that feels overly thick, stiff or heavy. My look has an element of fun. Anything with a pattern is going to be abstract floral, or some sort of curvilinear abstract pattern. My look is classic but fresh, so it’s updated with some trendy features. I prefer my overall look to be polished, and refined. My look is Composed but allows me to come across as Genuine. It is Serene and Elegant. I like to have some element of motion in my clothing. Something that flutters or moves as I move, like a round skirt when you spin. I have preferred silhouettes. Common elements over time in my silhouettes have been: Jeans; pullover knit sweaters, particularly turtlenecks and crew necks; fitted pencil sheath dresses; pencil skirts and loose silky blouses; wrap dresses. I add cardigans over all of my favorite silhouettes. My signature style include use of Statement shoes, boots, scarves, earrings and necklaces. I wear Statement glasses and sunglasses as well. I’ll have to ask around to see if I can add to this rather puny list! Some parts of one’s style are thrust upon one. In my case, this is flat shoes, so finding good-looking, comfortable, flat-heeled shoes that also have no pointy toes, no narrow toe-boxes, do not look orthopedic or geriatric, and do not look like something made for a young child is a wardrobe priority for me. This has sometimes pushed me in a funky or “street” direction (e.g. hip sneakers worn with dress clothes) and sometimes has meant relying heavily on tall boots and booties, both of which look great in a flat heel. I always wear makeup, especially eye makeup because my eye color is very pale and without eye makeup, my eyes can disappear into my (also pale) skin. Whereas I always carry a handbag, I am fairly lazy about changing bags, so I kid myself that if I just choose a great-looking bag, it’s ok to leave it alone. I wear glasses but I hate wearing them, do not see them as a style asset, and would boot them to the curb in a second if I had a choice. Some people look better in specs than others. You may think this is because I haven’t found the right frames and you might be correct, but it also has to do with having curly hair (I don’t fully understand this myself; it’s just harder for glasses to look sharp when paired with curly hair) and the above-mentioned pale eye color. The dark frames that are chic at the moment make me look like a lemur; frameless specs suit my eyes but make me resemble my grandmother. I love outerwear and gravitate toward statement-y coats. My feeling is they come off pretty quickly, so even if they’re ruthlessly memorable, they still have pretty long wardrobe legs (as compared with a dress or skirt.) Also they make you easy to spot on the street. The first things others comment about are my smile and my shoes. My signature look is classic with a statement. The statement might be a great bag, the shoes, a scarf, jewelry. Accessories are key to my signature look. So is good posture. Because I have been into wardrobing and dressmaking my entire adult life, I developed a signature style at a very young age. Because I am very short I quickly realized that part of my style most of the time includes tops and bottoms in the same color tone. In the winter turtlenecks are a must (cold neck otherwise) and scarves are usually included and have been most of my life even when they weren’t “in fashion”. After 60 years of putting my wardrobe together, I realize that jackets, blazers, shorter coats make me feel put together. This becomes a problem for me only in the summer where I live (E. Wash) but it is often solved by really cool air conditioning whenever I go indoors. So I carry my jacket with me an complete my look when I go indoors. Part of my style has always included as bold of assessories as my size can carry, and I feel naked without earrings of some kind, but not really small because even though it is short, I have a lot of hair. My coloring is soft (blonde/gray, blue eyes) so my signature colors have always been on the softer side as fashion will allow. This makes shopping difficult when nothing but bright jewel colors are seasons style. These are the times I am glad I can sew and go to my fabric stash for new clothes. So I guess my style is mostly determined by my size, coloring, and where I live. And now my age and body shape has controlled everything!!! Another great article , you are the best fashion blogger , and i read quite a few , probably more than i should , you stand out from the rest by giving us usable information… my signature might be the the hairstyle , it has been short and highlighted for about 3 years , but i am not sure if that is long enough to be considered a signature style ..
ok…this one is not as clear for me as wardrobe essentials. is it correct that not all signature style are “uniforms”; but all “uniforms” would be signature styles? Love this analysis! For most occasions, I’ll be in a v-necked dark dress, cinched at the waist with an A-line skirt, with my blond hair curled and parted to the side. My jewelry tends to be silver and sculptural with Art Nouveau inspiration, or marquise clusters of cubic zirconias with a vintage glam look. My footwear is ladylike – almond-toed pumps with slim heels, ballerina flats, or delicate wedge pumps – and my bags tend to be clutches and satchels in pewter and burgundy. At the office, the formula shifts slightly – more likely to be a navy belted sheath with an asymmetrical neckline and a streamlined black blazer, with my hair pulled back, worn with neutral pumps, sculptural silver jewelry, and a burgundy satchel. In the winter, I add black tights, a wrap coat in navy, dark purple, or black, usually with a watercolor print scarf in jewel tones. And I wear glam black shades year-round when outdoors. Enjoying reading everyone’s descriptions of their signature style! Wonderful post and I think we know ourselves better, inside and out, when we name and embrace our signature style. It’s been a meandering journey for me, and, thankfully, I found YLF on the path. Short blonde bob hairstyle with highlights, which I may experiment with in color to see if I want to go natural. Soft, neutrals in skinny jeans (grey, white, cream), cashmere-blend sweaters, blouses, scarves, etc. Uncomplicated prints and Breton stripes when it comes to tees and tops to accompany my solid neutral white, navy and black ones. Shoes and booties that are both wearable and interesting to the eye. Daily wearing of my watch with simple stud earrings and occasionally pearls or choker-style or pendant necklace. Jackets, blazers, leather moto and lightweight coats. Makeup, always, but it is soft and natural with a rose lipstick, blush, eyeliner, neutral shadow and mascara. I would say my signature style is very simple. Although that word is somewhat boring, so perhaps I need another word. I could really just say that my signature style is my list of essentials recently posted in respond to Angie’s question about essentials, but I will try to distill further. Anyway, my hair color is a signature, I know I haven’t posted pics, but it is an interesting mix of white/silver/gray. It is unusual in that most aquatinances my age (47), especially those in my circle with school age children, are not letting their hair go it’s natural color. Currently it is shoulder length. My makeup is very minimal as is my jewelry. I always wear silver/white gold/platinum. I do not wear a watch. I have found I enjoy having just one good handbag, not changing frequently, unless I need to for an event. Therefore, my signature style includes a quality, interesting bag in a neutral color that can go almost anywhere. To get dressed, all I really need are some good jeans, basic, but nice top whether it be a sweater, shirt or tee. 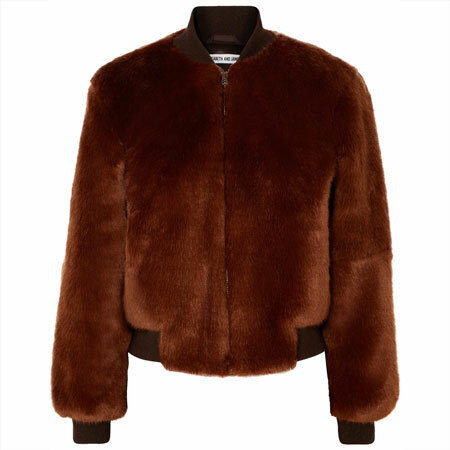 Add a coat – puffer for winter and bomber jacket for spring/fall and I’m good to go. My color palate includes blues/white/pinks. Black and grey are also represented, but less so recently. Last, but not least, interesting/quality/comfy footwear. My girls always tell me that I am “polished”! Short modern hair, just enough makeup, classic wardrobe (though I have lots of tees), Geometric patterns yes, florals never. Even better solids.Muted colors, never bold! Nothing frilly, ever! Always a watch and engagement ring and wedding band. I just LOVE reading about everyone’s signature style. Mine is definitely Quirky Waif, as you put it so succinctly Angie. I try every now and then to get it more serious and womanly, but it cannot be exorcised LOL! It started in pre-school, with puffies and Mary Janes (low, block and wedge heels) and apron/Heidi dresses. These themes basically continue ad infinitum. Florals, funky specs, and lace up shoes have been added along the way. And I have a penchant for bows and ruffles. Utilitarian Alice in Wonderland. Back when I had an office job, one of my closest friends described my personal style as “goth equestrian”. That was fairly true at the time, although I wore very little black — but my jewelry and accessories made up the difference. Now my lifestyle is much more casual, both work-wise (gardening clothes) and not. (After the wardrobe essentials post, I made a spreadsheet of my essentials and bought several items for it. More to go, but there you have it.) Recently, another friend asked me to describe my aesthetic in 10 words or less, and I think I can use that to frame out a personal style for when I am NOT at work! It ends up being a sort of urban-soft-butch-queer look, taken slightly to the femme side by my body type (very curvy) & jewelry choices (lots of dangly earrings), but with some edgy and masculine touches (usually shoes, jacket, hair). Prefer gray & colored jeans, masculine-style or men’s shoes that can be walked long distances in (even if they are fairly dressy), pullovers with soft flannel button-up shirts underneath or striped tops with cardigans over them (pref. shawl-collar and belted). Prefer long earrings, silver or mixed metal jewelry, VERY bold rings or no rings but nothing delicate. Short, colorless nails; short hair (right now I have a sort of soft mohawk-style cut). I feel my style is a bit bossed around by my body type. Fortunately my lifestyle and job fit right in with my style comfort zone – relaxed casual. This is a work in progress … I think part of my style signature is my hair and eyes – my hair is somewhat long, light, very straight but not at all polished (although it’d like to be) because my style is very casual. My eyes are statement because I have a strong brow, blue eyes and long, dark eyelashes. I’m very casual and like to be comfortable so part of my signature style is cozy fabrics in the FW and easy, breezy in the SS. Flat footwear is part of my style. I like to look (and be) like I’m ready to run with my daughter or my kids at school at any time. I assuming part of my signature style is RATE because I don’t do polished. Also I think I the colours I wear and my tendency to lower contrast is signature. I wear mostly cool colours and prefer light neutrals. My signature style might be very boring!! *a few years ago I would have said Chuck Taylors, because I wore them all the time. I still have a pair, but my style center has moved away from them; I think they feel a bit too ubiquitous for me now, and too narrow for my ever widening feet. 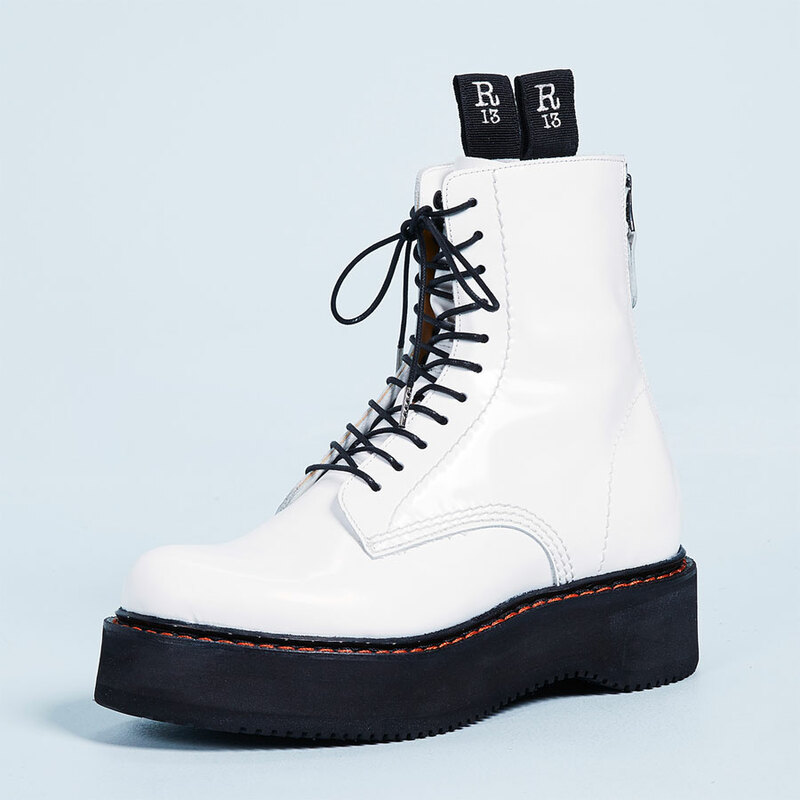 So I’m somewhat adrift footwear-wise, trying to find shoes that make my feet and my aesthetic happy. I know “my” shoes as soon as I put them on, but I think my footwear criteria might be a little arcane… I do think I’m a person who *needs* signature shoes, though. GREAT comments, ladies. I’m reading ALL about your perception of your signature styles with great interest. When I’m familiar with your style, I’m nodding along with what you’re saying, and learning something new about you too. Fabulous! My apologies for not replying to your comments more fully. I have a lot going on at the moment. But I AM reading with interest, and so are others. My signature style response would be very similar to my wardrobe essentials list: jeans, blazers, boots, but it also brings in colors, blues at the top of the list for colors, and in general a casual vibe to the outfits. When I first heard “signature style” my first thought was that I had none. Because I imagine it on someone who stands out as stylish. However, there are common elements to my style. I would say when I was younger my quite dark brown hair and fair skin were my most notable features. I am still feeling my way now that I have so much less contrast with my gray hair. Navy is newly added since I went gray. Before it was only black. I found a black bottom with my dark hair made my look look intentional. Almost always high contrast. Occasionally monochromatic. And what is the word for colors that are very similar? Until last year the color/print was always in the top or the dress. One print per outfit. Although this winter I started adding a mostly black scarf with a thin gray stripe. Clothes cut to skim the body. Not tight, not extra fabric, unless some light gathering to my dress. Silver or mostly silver watch, jewelry, etc. Sometimes with color. Flats or relatively low heels. Black, gray, or metallic. Tote sized bag. Working to maybe break this habit. It’s funny; my signature style has evolved over the years, of course, but in some ways…it started when I was a kid. The first time I remember having a fondness for certain wardrobe items was in grade school (about 5th or 6th grade). Some neutral but laser cut wedges with a very small heel, a stripey tank top, white pants. That’s one outfit. A super-soft zip hoodie. 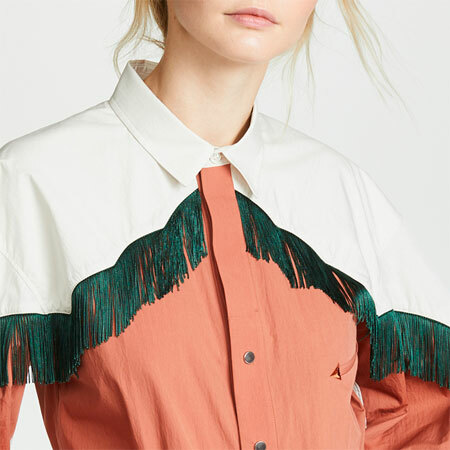 Certain soft, colorful tops. And jewelry…always jewelry. My mother says I came out of the womb loving adornment. And now, in middle age, I wear tank tops (though mostly not stripey anymore) and skirts or tanks and jeans (or tanks and shorts) in the summer. And I wear soft hoodies, sweaters, or long sleeved tops in the winter (mostly with jeans or with corduroy). I’m fortunate that I work for myself and no longer have to adhere to corporate attire. I never really was one for a lot of very girly accoutrements; much to the chagrin of my mother. I don’t really own much in the way of flowy blouses or ruffles or lace (though I do like a bit of well placed lace accent). The one thing that’s majorly changed is that I love a great dress. I certainly did not when I was younger. Maybe it’s because I looooooove heels. I wasn’t wearing those in grade school (or high school, really) A good dress + heels is a match made in heaven for me. And the jewelry collection continues to grow. Fortunately it doesn’t take up (too) much space. I’m not sure what you call it but these are the parts…. – minimal accessorising (earrings or a necklace, a scarf or a necklace) and simple silhouettes. That’s about all I can think of!! The thing that attracted me to your blog, Angie, was your colour combinations. Very nice! I also noticed the flip in your short hair (which you no longer sport). I am hoping these discussions, and being on YLF, gives me the skills and self-awareness for a stronger signature style. For some reason, that’s important to me. My signatures, as far as I know, are chunky sweaters, thin sweaters, skinny bottoms, and dressy shoes. Long straight black hair and specs. Polished ladylike with a dash of UWP. Shadow style–black, leather, skulls, spikes, studs. Skirts and dresses with bare legs and boots (high five Diana!). Red, orange, teal, black, white or burgundy. Pointy studded Halogen flats, Converse, Ugg moto boots, Frye lace up knee boots, or burgundy patent rain boots. Organic patterns, especially insects, snakeprint, water, flowers or fruit. Well, from what folks say I’d speculate my personal style is a mix of classic with sporty – sort of modern Kate Hepburn/ grown up tomboy. I think my major signature style element is a silhouette–a long topper (jacket, vest, or even an unbuttoned shirtdress) worn over something lean, whether skinny jeans/cords, sweater-dress, or pencil skirt. I also wear a lot of shorter jackets (hip or waist-length), but the outfits where I feel the most “me,” the happiest, the most dashing, are with a topper that hits mid-thigh or lower. Scarves may have also become a signature element for me. I really got into wearing them about three years ago–I’ve been having a lot of fun with them. And maybe oxfords in the warmer months? This is timely because I have been thinking about this a lot this year. I think my signature elements are: pencil skirt, A-line skirt, boots or other heavy footwear, black, burgundy, earthy accents, long necklace, cuff, statement ring, graphic black and white combinations, abstract/impressionistic patterns in dark moody colours, high neckline, clean neckline (no collar), tonal or ombre combinations, military styling, moto styling, texture (knits, velvet, jacquard, leather/pleather), 70s influence. A recent addition is dark floral, so it is evolving! I love the question, and all the answers. I balance between a solitary country life in the mountains, where I dress like a 12 year-old child (jeans, sneaks, pullover & anorak,) and occasional city weekends or parties requiring more sophisticated, fashionable clothes. I suppose the signature style that links the two is a color story almost the opposite of yours, Angie. Those luscious sour brights that bring you forward so beautifully would erase me, so my wardrobe is comprised of misty blues, ice to ink, and soft whites & pinks, mostly, with some berry reds and grays. Anything opaline suits me, so I gravitate toward mother of pearl, abalone, aurora borealis crystals, delicate sequins, and opals over cashmere, mohair, silk and fur in Winter, fine cotton and handkerchief linen in Summer. Boy, more food for thought. I wear jeans every day, and I prefer them slim and fitted, just like my cigarette pants. Volume and drape is a part of my look always, and I also like volume over volume. When it comes to footwear, it’s booties and oxfords, and I often use my oxfords to inject color into my look. I also like to have at least one piece, which is often an accessory, to add drama to what I wear. I love to wear dresses over pants, and my dresses are some of my most dramatic pieces. When I use color to add drama, that color is often orange. The bright orange color I love I normally wear in the spring/summer season. What a great, thought-provoking post, Angie! I like how you gently took us from thinking about essentials to a signature style. I need to think more about both because my mind is completely chaotic now. I am not sure if I have any signature style though. I remember when I tried to develop my signature colors but nothing came out of it – they run gamut for me (and you said I do not need to limit myself ) . At some point I always wore bold statement jewelry pieces – next leg of my style journey I almost never wore jewelry. The same with scarves. I have a short haircut for several years now but it is not distinctive enough as to be a signature in my mind. Maybe I cannot describe my signature style because I am in a style rut and do not have one? Great food for thought here. I think my signature style (or the one I’m developing anyway) includes short, spunky hair and long-over-lean silhouettes. I’d like it to include bold uses of color and drape. Perhaps it will get there. (Oh, and crazypants. I want those to be part of my signature style too). Well, let me take a crack at this. 30 years ago when I was a public defender in Washington D.C., in court every day and trying lots of cases to juries, the style I aspired to was super chic: high-end french and italian dresses and separates — I’ve never cared for suits or thought them to be a good value. I wanted to be tough in court and look super sharp, because jurors like that, especially D.C. juries. I wanted to dress like Stephane Audran in “The Discreet Charm of the Bourgeoisie” — she wore the best clothes in that movie that I’ve ever seen. My hair was not a style asset; I cut it down almost to my scalp and wore it like a boy (and wore it that way for the next 20 years). A number of us black women at that office did. I referred to us as “the sisterhood of ball-headed black women.” In retrospect I guess that was a style trait, but I never thought of it that way. I cut it off purely for the sake of convenience. In my heart, that is still my signature style, though in reality it is not. I can’t spend all my money on clothes any more (mortgage, college tuition), and my work no longer requires me to be so dolled up because I’m not in court nearly so much anymore and my office is very relaxed. I now sport a more “street-style” look that’s not so designer-focused. My winter coats are important — I wear fur and shearling often and solid-color cloth coats in jewel colors. I have two leather bomber jackets with fur collars that I wear a lot when it’s not too cold. 1. what you’ve called my “moody” colors–muted, cooler tones worn in low-contrast combinations. 2. diffuse prints. Usually I’m wearing a print/pattern somewhere in my outfit. “My” prints are somewhat abstract, blurry, indistinct, irregular. 3. my naturally curly/wavy gray-brown hair, usually in a bob, whether short or longer, as it is now. 4. Round-neck, soft collars, cowls, necklines that are fairly covered and frame the face softly; a crisp collared blouse is the anti-me. 5. mid-tone lipstick and makeup that is polished yet fairly subtle. You won’t catch me without makeup unless we are engaged in some sport or are sharing living quarters. 6. outfits that blend arty and classic elements. I wonder if this captures the essence? I believe I do have a signature style; my friends and I are often pointing to things that are definitely “me.” Articulating what constitutes it is the hard part. -choosing a bag for the outfit (usually a structured satchel, clutch or cross body; often colorful). Busy week- I look forward to reading all these posts. Great topic, Angie. What a GREAT topic, Angie, one I never thought of but others around me have. I credit the most obvious part of my style to my hairdresser. One day she suggested an asymmetrical bob and I said, “Sure.” That was 5 years ago. Now she refuses to cut it any other way! *Scarves-I have some silk ones at least 30 years old. *Body-aware silhouette. Baggy styles overwhelm my frame. I think I’m gonna need some help. Maybe I have too much variety in my style? A put together look that is flattering to my body shape and complexion. I would say that I have definitely have a personal style. Edgy, urban, a little tough. I love colorful accents in blues, greens, purples, but there is a lot of black & gray. Leather accents. Black low-heeled boots. Always funky glasses. Always a crossbody bag. For work, I feel like I have a uniform of black or gray with a colorful oblong scarf or pendant necklace daily. You’ll never see me in heels, wearing a hoody, or carrying a backpack. I can’t really imagine myself in sequins or sparkly things or anything floral ever. I love reading everyone’s comments and have learned a lot from all you ladies! For me, I like to wear low contrast colors with details that reveal themselves on closer inspection. I wear jeans almost every day and love awesome funky boots and flats. Whatever I wear, I try to personalize it some way. So, if it’s a denim shirt, I might make a very subtle running stitch along the cuffs or under the collar band with a near-matching embroidery thread. I wear a lot of hand knit scarves and shawls and hats. I like to wear really nice jewelry mixed with very casual outfits. I live in a super sunny climate and must wear a wide hat, so I try to make sure mine have a low-contrast stripe or something interesting but subtle. If the hat doesn’t come with anything special, I might make it a nice hat band with repurposed silver belt or something. And I have a very unique perfume but try to make sure it’s not noticed unless you are very close to me. I wear it for myself. Thanks for such a fun conversation! Angie, I am super late to this due to travel. But I read and loved your post and have been thinking about my signature style and how it has evolved. Short metallic hair (once gold, now silver) . Usually a pixie type cut with some texture and/or asymmetry. Navy/ ink as the main neutral with doses of red, fuchsia, white, and grey. If I am wearing an outfit that includes these elements I always feel comfortable in nearly any environment and I feel that people usually notice my hair. This was a wonderful read, and I’ve been mulling it over for days… It really made me think! Long sweaters/tunics over leggings or skinny jeans has been a long time favorite silhouette regardless of trendiness. Neutral nails, even when painted. The most interesting thing that I uncovered in my pondering was a sort of unconscious thing that I do when selecting clothing, accessories, and creating outfits. I feel the need to scale things back by 30-40%. If anything is too shiny, bright or crisp, I can’t handle it unless it has been “knocked back” a bit. I prefer brushed to shiny metal, dull to sparkly jewelry, colors that have been dulled and greyed, cotton that has been mixed with linen or rayon, and linen that has been softened with other fabrics. Leather must be softened, usually not black or one-toned/harsh, and sometimes a little distressed. I think that I want to feel like the fashion is part of me instead of on me – like it’s been lived in. Not in a rumpled, messy sense, but in a relaxed, integrated sense. I want to feel like me instead of me wearing pretty things, and I have to be careful about this because I can be easily overpowered. So yeah… a little tricky to make that into a signature style – I guess it’s more of a signature style concept. Thank you, this was a great exercise! This is a really interesting question because while variations of a short pixie cut have been a constant for my style, in clothing what currently dominates my look has chosen me versus me choosing it. Because I wear a lanyard with a badge each day all day at work which is heavy on my neck, button front collared shirts have become my “go to” to disperse the weight. And of course, because of the functional need, we’re talking a sturdy fabric such as non-iron cotton with a well made collar (think menswear – Brooks Brothers has become my go to). No silk, delicate cotton, or other soft choice will do the job. Now, they are an inescapable part of my work wardrobe defining my style in the work place based on a comfort need instead of something that truly bubbled up from my personality and inclination to present myself. Does anyone else see this kind of practical adjustment invade and dominated their signature style for better or worse? I find it makes me a bit creative at times playing with mixing patterns to make this wardrobe adjustment my own but at other times I just give in to laziness at settle on a very plain version of the button front paired with the most boring of trousers or pencil skirts. Skinny jeans, boots, loose tops. That would sum me up fairly well.